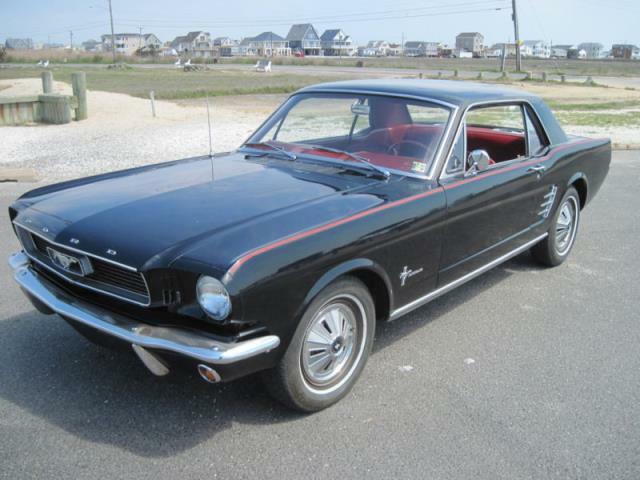 Here is a 1966 Mustang Black with red interior. The car runs and drives great. The car has 69000 actual miles. It is all original. 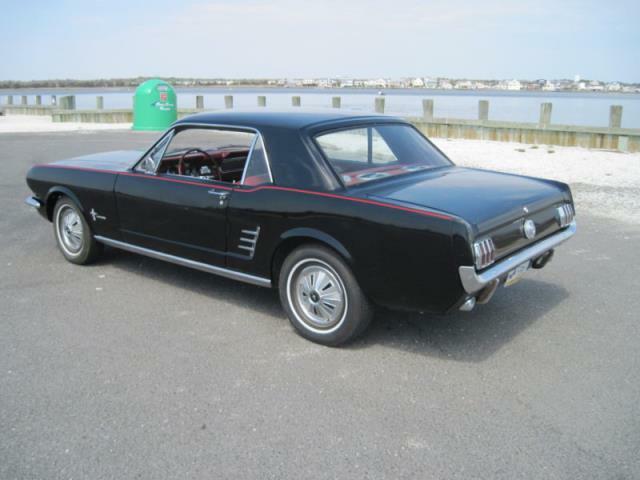 The repainted black has a mirror finish and there is no rust any where on the car also includes the trunk and the floors. All the trim was removed before painting. It really looks nice.The trunk has original mat and spare tire cover, The body is very straight and has one tiny ding in passenger door. 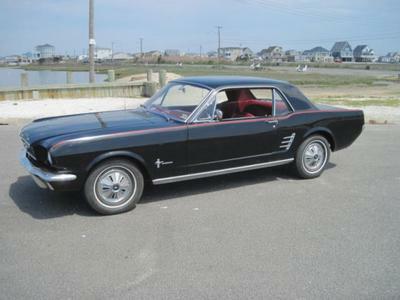 The red interior is in perfect condition. Has an original fit am/fm stereo. Everything electrical is working as it should. The engine is quiet and smooth and pulls nice and strong. No leaks or smoking. It shifts through all gears with no issues. The tires are in great shape and in like new condition. The rear window trim is missing. The chrome is original to the car and still shines but shows its age. The car is in very nice condition and you can enjoy it today. It gets a lot of attention and compliments. I recently added the red pinstripe to make it really pop. This is a very nice rust free car with a great color combination.